This tutorial will show you how to wire the PR2 for the DARPA BOLT project. There are several sensors needed for the project. For instructions on how to mount each of these sensors, please refer to the other wiki pages under Hardware. They will each outline how to get the sensor physically mounted onto the PR2. This page will outline how to wire up all of the components once they have been mounted. Please follow each step carefully as some steps deal with modifying the PR2 electrical wiring. You only need one, but we suggest buying 2 or 3 as backup because it is easy to make mistakes during the installation. This hub will power each USB device the full 500mA and can connect directly into the PR2's 12V plug in the body. You don't need this exact wire, but it does need to be 18 gauge. We recommend a black and wire combo. This wire is nice because it is spliced together for easier cable management. First and foremost: Shut down the PR2 and turn OFF its breaker. You are about to perform electrical surgery on the robot. This procedure is not difficult when performed correctly, but care must be taken not to damage your electromechanical friend. The PR2 only has one USB port on the outside of the head. To extend this, we installed a 7-port USB hub that is externally powered. This allows each port the full 500mA power supply that many devices need. (This step is optional.) Take the 7-port hub and remove the relatively sharp side plates (a band saw would be the best option). The plates are not needed because we will be mounting the hub with tape instead. To avoid metal shavings inside the hub itself, unscrew and remove the back/bottom pannel before sawing. Then afterward, wipe out the case with a damp then dry paper towel to remove all debris and moisture. Take double sided tape and attach two long strips to the bottom of the hub. You will notice that there are multiple points to insert the 12V line. We will be using the body power breakout board on top of the spine. For our purposes, we will only be dealing with the 12V power line and USB Bus expansion board. Please be careful when performing this part of the tutorial. There are many high powered electric components. The robot must be powered down completely, unplugged from the wall and the DC breaker must be off. Furthermore, please be sure to be grounded with the wrist strap provided by Willow Garage. Clean up the cables and route them out of the left side of the robot. The picture below has both cables securely attached and cleanly routed through the back. The red colored line shows how the USB cable is routed and the yellow shows how the power line is routed. Connect two cables to the hub. The final product should look like step 7. The Cheetah is mounted on the left shoulder of the PR2. It is attached to the 7-port hub by Velcro. Take a long strip and mount it to the hub. Be sure to measure the location of where the Cheetah will sit on the shoulder. Please ignore the small piece near the top of the hub. That is no longer needed. On the bottom of the acrylic mount, attach a piece of the half sticky/half Velcro tape. The existing SPI cable is far to short to travel down the PR2's arm. The next steps will create an extension cord for the SPI connector. Hold one end of the SPI cable, blue stripe to your right. Orient the cable receptaclein such a way that the pin furthest on the right lines up with the blue stripe and is also in the row closest to the incoming cable. The receptacle’s notch needs to be facing the rest of the cable. Basically, the Cheetah’s red stripe needs to line up with the new cable’s blue stripe. Now that both the cheetah and the MBTB are mounted, we will route the cable. We will finish making the SPI cable after we measure the appropriate length. Connect the USB micro power cable to the hub (6'). Then to hold the USB cable to the SPI cable, wrap the two cables together. This can be done using the double sided velcro straps that you should have purchased from here: link. The results should look similar to below. Be mindful that the USB cable is consistently on one size of the SPI cable. At this point everything should be fully wired. 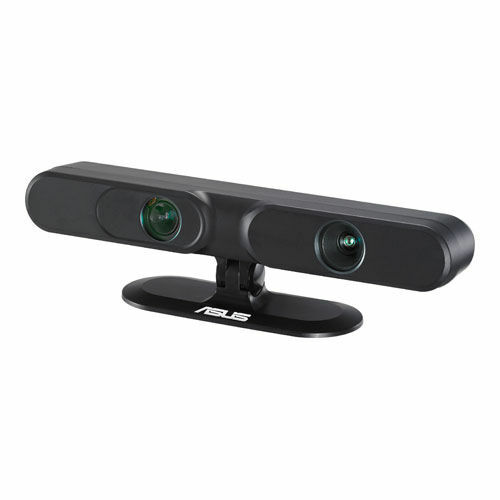 You can also connect the ASUS Xtion and USB ears to the USB hub at this time.